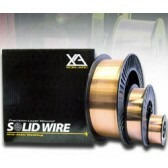 Powerful with exceptionally high duty cycle. 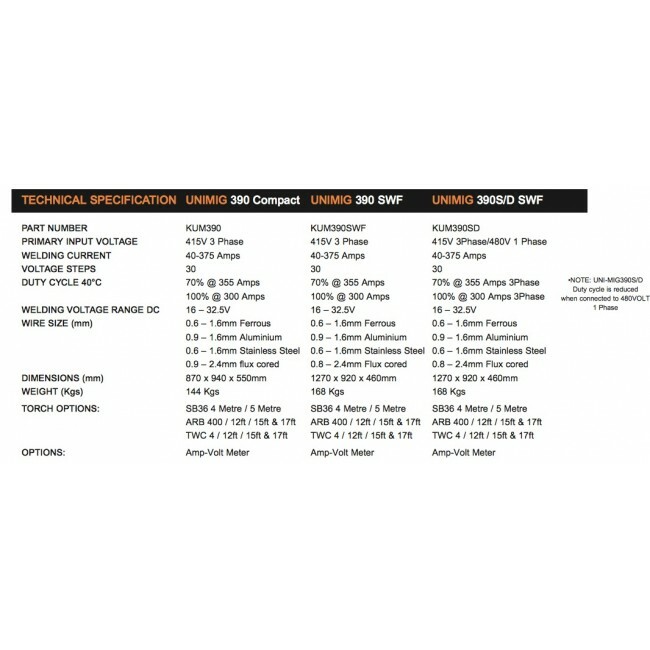 Ideally suited for medium to heavy fabrication. WITH SWF. 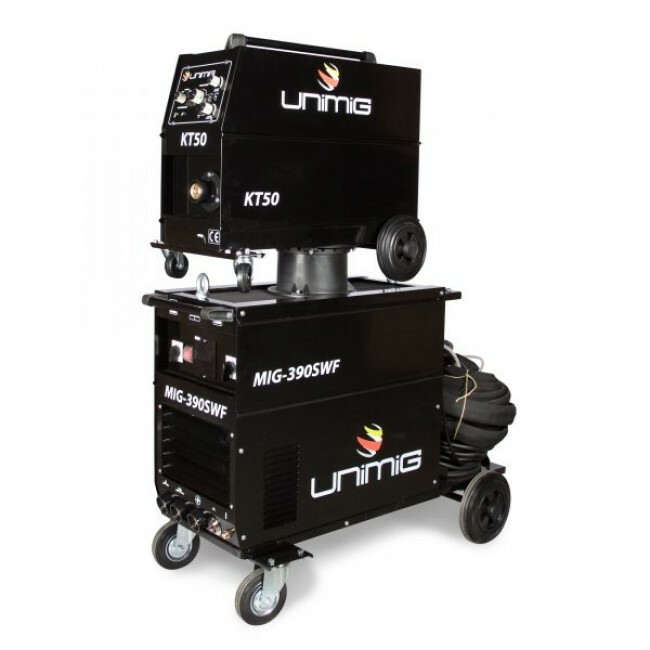 The UniMIg 390 MIG Compact Step Controlled Welder is an exceptional work horse with a market-leading Duty Cycle. 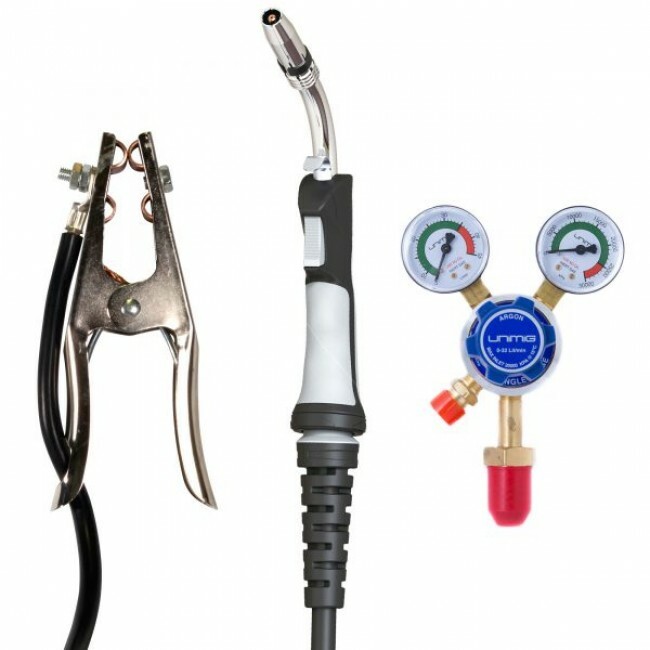 The machine has a 70% Duty Cycle @ 355amps and 100% @ 300amps. 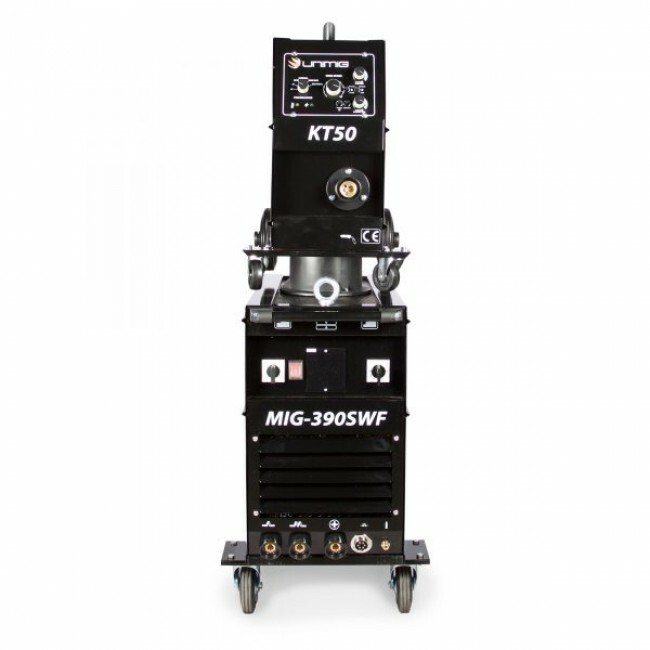 The machine comes with a fully enclosed KT-50 Separate Wire Feeder and 10m Interconnect Cables, to give it added flexibility and portability. It is backed by a 24 months warranty, which can be extended to 30 months free of charge if you register it with eWelders, as we are a UniMIg approved Dealer. 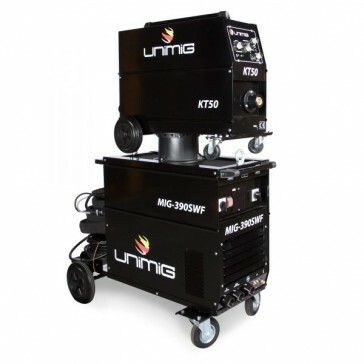 The UniMig 390SWF is fitted with professional level four-wheel Geared Wire Drive ensuring perfect Wire Feeding and it renowned for its stable arc characterises. 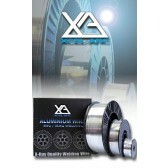 This machine is well suited for medium to heavy intensive fabrication industries and Rural Applications.